With growing concern over the authenticity of online news, a study carried out by content marketing agency Ad-Rank Media revealed some interesting insights into users’ understanding and trust of the internet. Out of the 2,000 surveyed, 1 in 10 admitted to browsing upwards of 50 websites a day, tying in with the rising trend of worldwide internet usage. Yet it would seem that the technology doesn’t result in a particularly deep understanding of it. Of those surveyed, a surprising 60% of respondents said they don’t know the difference between Google sponsored ads and organic results - a higher than expected figure considering the regulation where paid-for listings must be marked accordingly. Do you know which search results are adverts from Google? As Google continues to alter the way that their adverts are labeled, it could be argued that users are being increasingly hoodwinked. No longer are Google ads shaded to differentiate them from organic results and instead have been replaced by a subtle green ‘Ad’ tag and thin border. The reason for this change is not clear though it would seem likely that Google has opted for this approach to increase click-through on their advertising. 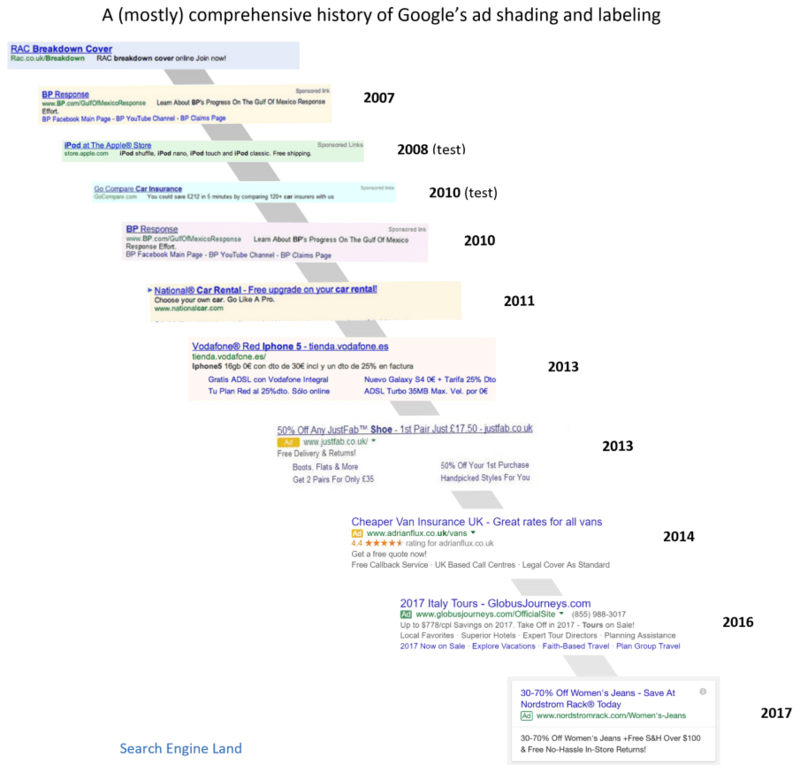 The below graphic from Search Engine Land demonstrates just how much labeling has changed over the past decade, reinforcing the growing trend for more subtle ad labeling. How many unsolicited emails do you receive a day? Even with ongoing efforts from email providers to keep unwanted mail to a minimum, spam still accounts for over 50% of email traffic worldwide, highlighting just how prominent unwanted messages continue to be. While 68% of respondents claim they always read reviews online before making a purchase decision, less than 50% said they actually trust online reviews. These feelings of mistrust also extend to online privacy, with more than half of respondents saying they feel worried about their privacy online claiming they feel internet content is not currently policed effectively enough. If this trend continues, we could see a big change to influencer marketing strategies that have risen in popularity over recent years. Individuals who have built brands on the basis of audience trust may begin to suffer. Despite 81% of consumers using social media at least once a week to discover news, there is uncertainty about the authority of these news sites. Pair this with the 57% who believe that social media is to blame for the rise of fake news and we begin to get a deeper understanding of why internet users seem to disagree about what can be trusted online. The term “fake news” gained prominence during the 2016 US Presidential Campaign, yet political propaganda has plagued the internet for some time. Perhaps, what sets it apart now, is the sheer speed and scale at which such stories can spread thanks to the likes of social media. With more than half of respondents using social media to source news daily, fake news highlights issues of responsibility and regulation in our fast-evolving media ecosystem. 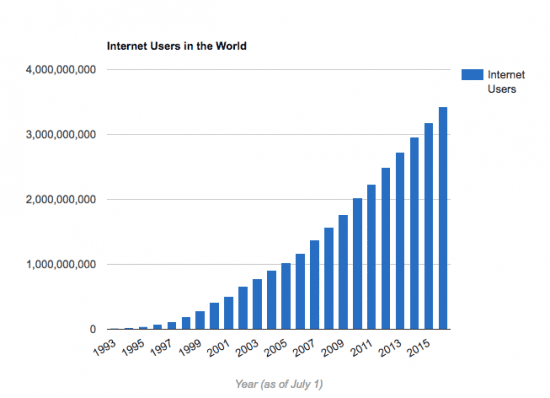 Even with the rising trend in internet usage, it appears that there are still uncertainties in regard to how much we trust and understand the online world. Such findings could alter the content marketing landscape dramatically over the coming years as users become more wary of the safety and reliability of the content they consume online. As the online world continues to be saturated with content deemed untrustworthy, the pressure is on for brands and businesses to establish themselves as a reliable source of knowledge and expertise.